We got back home and met up with the Fulbrighters to celebrate Rachel's birthday. They ended up going to a Mexican restaurant, but since we had eaten just a little bit of Polish food so far, BH and I ended up going to another milk bar. For their price, these little restaurants are wonderful! 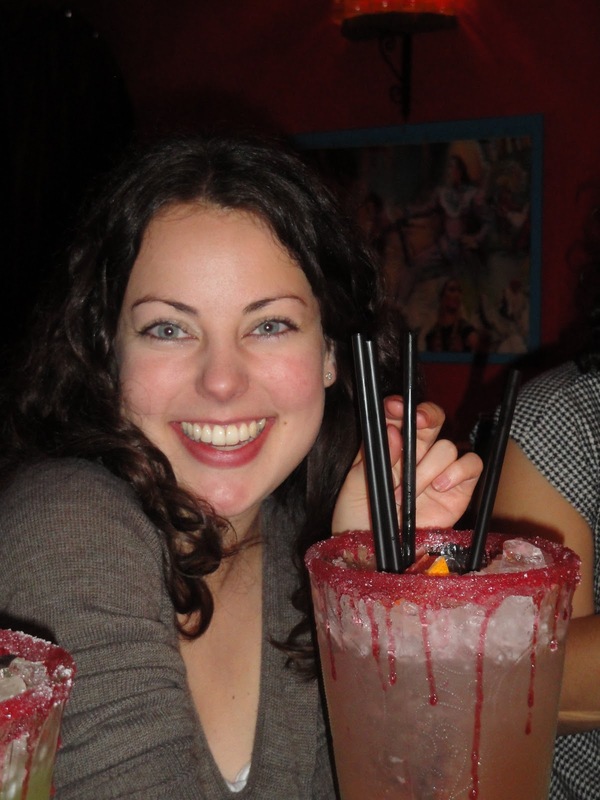 Following dinner, we met up with the group and went to another Mexican restaurant for margaritas. There were some weird group dynamics going on at the table, but I hope Rachel had a blast. The next morning, we woke up early to tour the Jewish quarter. As I mentioned earlier, Kazimierz was once the Jewish ghetto, but recently has become kind of a modern and fun area. However, there are still a number of synagogues, and a delicious bagel restaurant (BH's first!). After walking around for a bit, we ran into the old cemetery. I was a little creeped out. 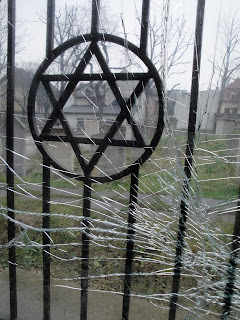 Especially after seeing the remnants of Auschwitz, this vandalism at the cemetery was awful. We continued our walk through Kazimierz to the new cemetery. 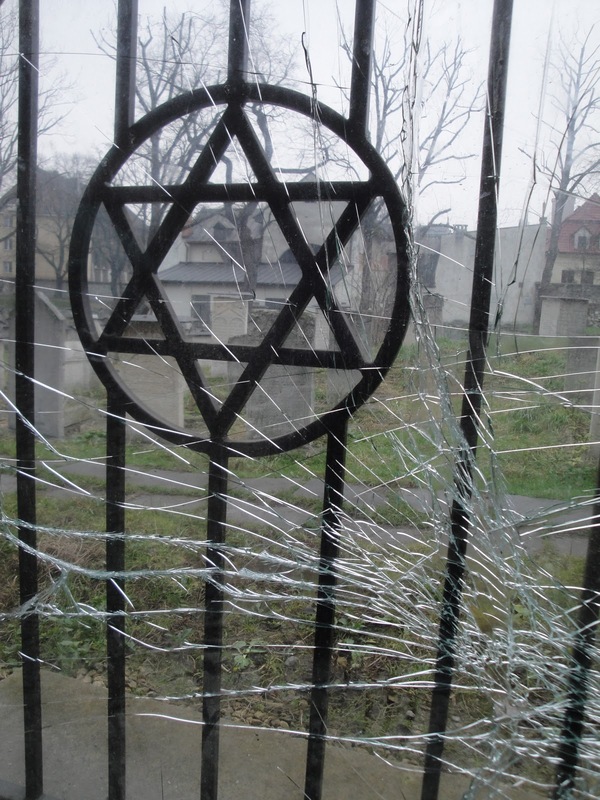 After donning a kippah, we walked through the cemetery. What a difference a natural cemetery is. Instead of the horror and disgust I felt at Auschwitz, I was filled with peace and reverence. We then moved on to the Deaf center on Saint Jana street. We didn't have any sort of plan, but just wanted to check it out. We met the director, and learned that the Deaf community here has an especially large art community. We were given a tour, which involved three levels of interpretation. First, the Polish Deaf would use sign language which was then translated to Polish. The director would speak Polish to an art student, who then translated to English. Afterward, I would translate to ASL. With all these different translations, I'm sure some things were lost. However, we were able to communicate. More Christmas shopping, hot chocolate, dinner, and then it was back on the train. A word of warning: do not take the sleeper from Krakow to Vienna. It is ridiculously expensive. Besides this one annoying aspect, Krakow was amazing. If you haven't been yet, go.